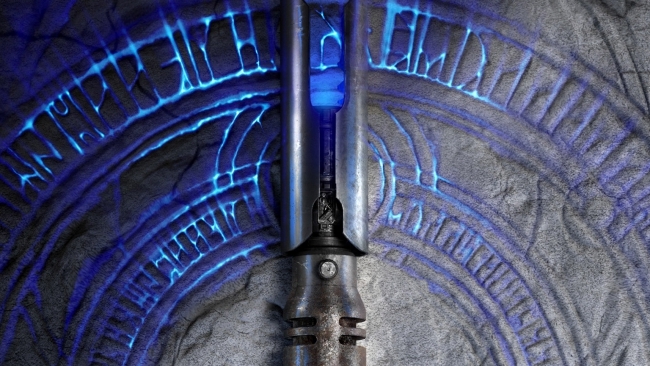 Electronic Arts and Respawn Entertainment will soon be ready to fully unveil Star Wars Jedi: Fallen Order. For nearly a year, though, everything but the title and a brief synopsis has remained sealed. Curiously, one of the first steps in lifting the veil seems to be in revealing the game engine that powers the highly-anticipated project. Instead of using DICE’s Frostbite Engine or the Source engine, the latter of which powers the Titanfall series and Apex Legends, Respawn turned to Unreal Engine 4 for Star Wars Jedi: Fallen Order. 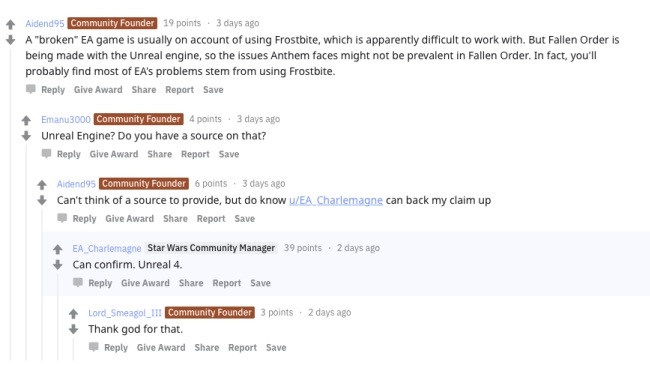 Many fans will undoubtedly be relieved to learn of this news, as the Frostbite Engine has been troublesome to several EA games in the past. BioWare’s Mass Effect: Andromeda and Anthem serve as a couple of the more notable examples. In addition, development of another Star Wars title struggled due to the difficulties of working with the Frostbite Engine–Visceral’s cancelled Star Wars game. It should be interesting, then, to see how Star Wars Jedi: Fallen Order fares with the arguably more developer-friendly Unreal Engine 4. A full reveal for Respawn’s Star Wars game is set to arrive during Star Wars Celebration on Saturday, April 13th. The unveiling will be streamed live on the official EA Star Wars Twitch channel at 1:30pm CDT. At present, Star Wars Jedi: Fallen Order lacks an official release date. However, the game is supposedly set to launch on an unspecified date this fall.